Fender released the 50th Anniversary Jaguar in 2012 in celebration of five decades of Jaguar history. 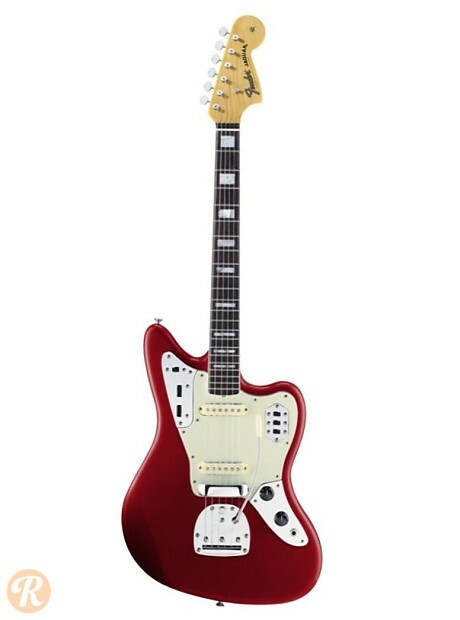 This Jag features classic styling, but uses modern Fender hardware and components. Other distinctions include a slightly different neck pocket angle and hotter pickups. 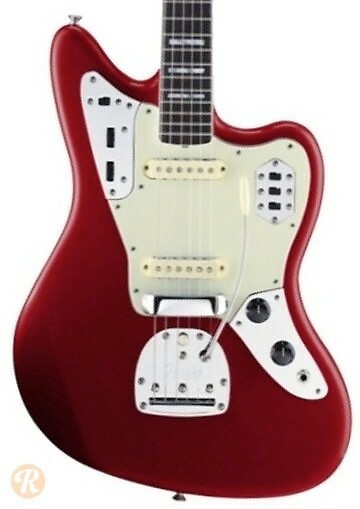 Finish Specifications: The 50th Anniversary Jaguar is made in Candy Apple Red, Lake Placid Blue, and a new Burgundy Mist Metallic finish.